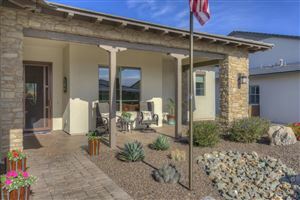 Trilogy at Verde River (formally called Vista Verde and then Tegavah) is a new development by Shea Homes, featuring a Kenneth M. Kavanaugh designed 18 hole, 7,219 yard golf course. This semi-private golf course offer so many panoramic views of the Four Peaks, Weaver’s Needle and other mountain landmarks. Shea Homes plans to turn this 850-acre Tegavah development into one of its Trilogy communities with 1,250 houses. The golf course is already open, and Shea Homes will be adding other amenities for this large, active-lifstyle community. See all Trilogy at Verde River.